Metallics are very much on trend this season, have seen some great pieces on the high street from skirts to tops. 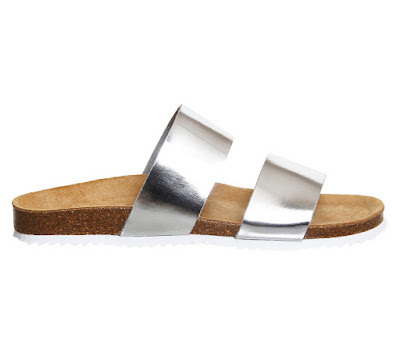 But if you're like me and feel it's too much to be wearing a metallic top or bottom, accessories are your best option. 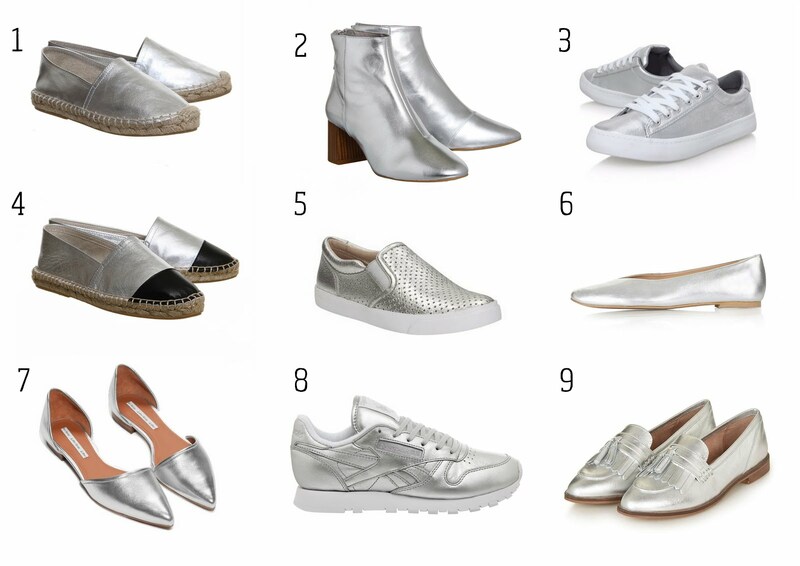 Silver shoes are not something I would have considered buying as an everyday shoe, instead more for an occasion in the form of sandals. But this year I have been convinced into silver shoes, although, I'm leaning towards trainers and brogues more than anything else. I'm yet to buy a pair, but these images from Pinterest have me thinking it will make the most simple outfit stand out for sure. 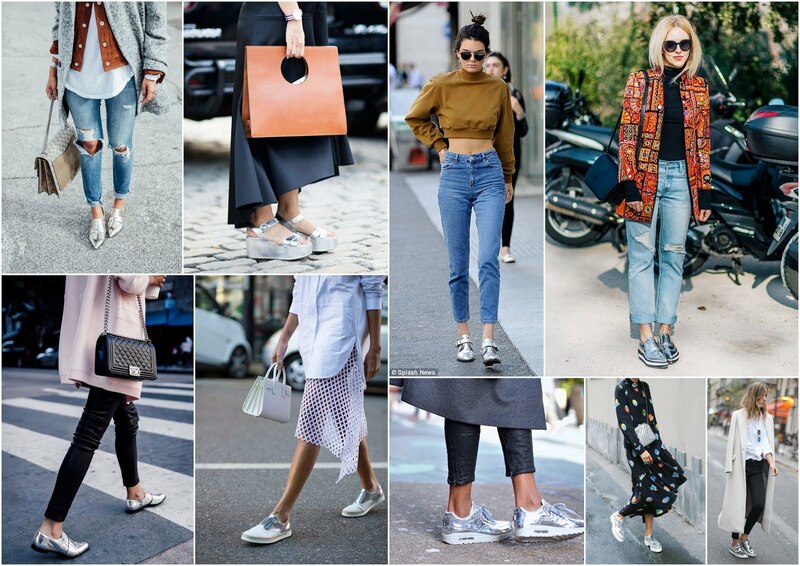 I'm surprised at how versatile they are, no more dilemmas of what shoes to wear with an outfit, every outfit can now be resolved with a pair of silver shoes! Yay!!! What's on the high street? These limited edition leather brogues are a bit pricey for high street but look beautifully made. 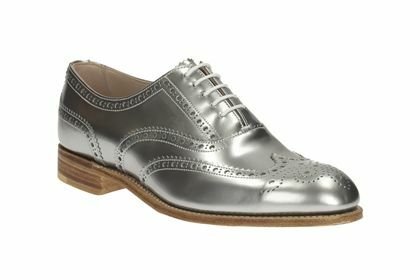 Personally, for that price I would head to Grenson's, their shoes are amazing quality and have many colour ways including silver. These summer sliders are my kind of shoe when it warms up, will look great paired with shorts, dresses or cropped trousers. Now if you have a spare £1,020, these Aquazzura sandals embellished with dozens of white crystals are a cut above the rest. It will probably sit pretty on my shelf as I wouldn't be able to walk in them.